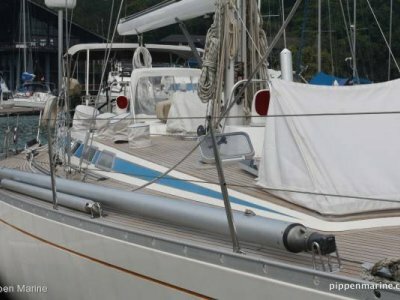 Locwind 47 Custom cruising yacht, undoubtedly very attractive lines, pleasing accommodation, appointments and sailing performance, built in 2003 and launched in 2004, designed by Mortain-Mavrikios. 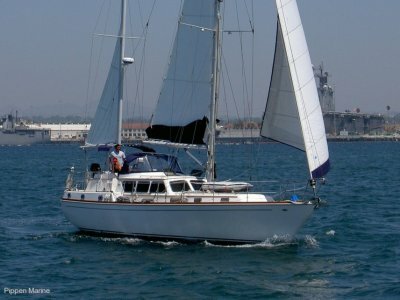 Five of this Locwind 47 design were built. 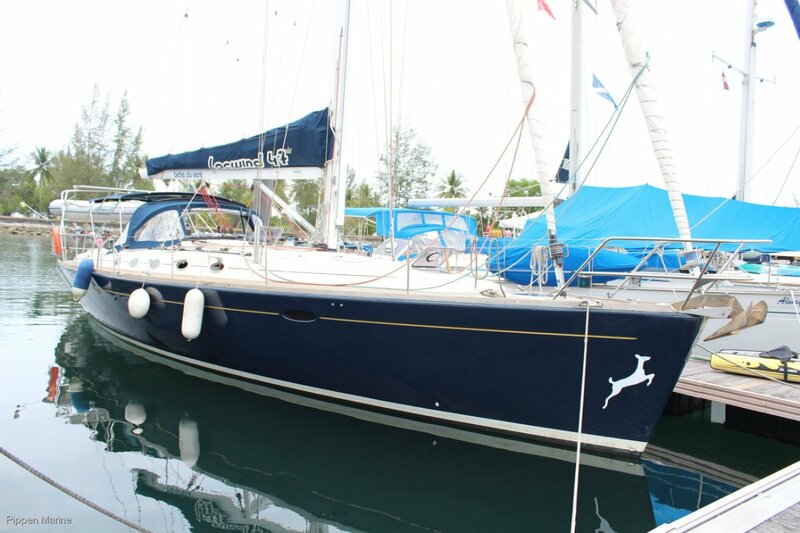 This modern performance cruising yacht is well equipped for ocean passage-making and cruising life. 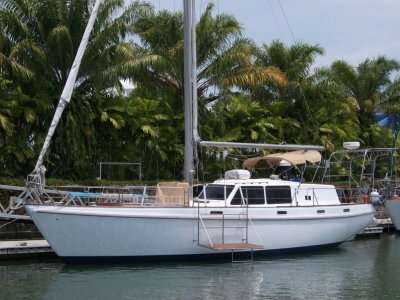 She sports quality Elvstrom sails with fully battened main with three slab reefing points and lazy jacks for easy handling. Furling gear for headsail by Hydranet. Auxilary engine power by Nanni 62 hp swinging a 3 bladed Max Prop. Engine hours stated 1300 hrs. Generator is Paguro 4KVA and she has 2 x 80W Solar panels. Biche de Vent also features a Bow thruster for easy dock manoeuvring. Good ground tackle withDelta and Fortresse anchors 90m 12mm chain and Lofrans anchor winch. 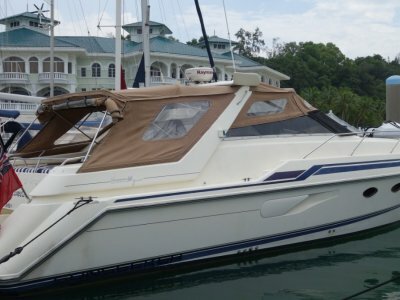 Electronics and autopilot by Raymarine with VHF radio by ICOM. Radar Furuno 1661. AIS Watchmate by VESPER MARINE. Three double cabins and well equipped galley and spacious saloon make for added live-aboard comfort. Interior is lavishly fitted with teak. For further details and arrangements for inspection contact Pippen Marine. Great working layout for the Galley.